Science based solutions for Colusa County's gardening communities. The UCCE Master Gardeners of Colusa County volunteer's donated 834 hours and made 1191 face to face contacts in 2017/18. Since 2009, we have volunteered 5,798 hours and made 11,447 face to face contacts in Colusa County. 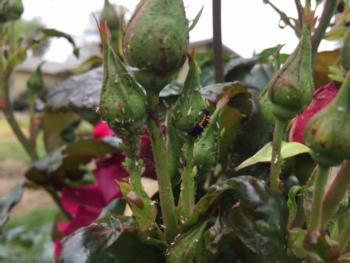 Need help identifying insects and how to get rid of them? The UC IPM (Integrated Pest Management) has answers! In a shady spot early in the month you can still plant pansies, violas, and primroses. You can plant dahlia tubers and transplant most perennials. As temperatures warm (nights consistently over 55 degrees) you can transplant tomatoes, eggplants and peppers. Fertilize shrubs and trees once this spring. Watch azaleas and camellias for yellowing between the veins in the leaves. If the leaf is yellowish, apply chelated iron to the plants. Trim the dead flowers but not the leaves from spring bulbs. The leaves restore the bulb; so wait to remove them until they turn yellow. Fertilize the bulbs after the bloom is finished with bone meal. Apply organic mulch to all beds to keep the soil cool and enrich the soil. Asian Citrus Psyllid is an insect that carries a devastating disease in Citrus trees and there is no cure. The insect and disease is usually detected in home citrus first. Click here to read more about the Asian Citrus Psyllid and the Huanglongbing disease. The Asian Citrus Psyllid has been found in San Joaquin County. Click here to read about the Asian Citrus Psyllid from the UCCE Master Gardeners of San Joaquin County. The University of California Master Gardener Program provides the public with UC research-based information about home horticulture, sustainable landscape and pest management practices. The program is administered by local University of California Cooperative Extension (UCCE) county offices that are the principal outreach and public service arms of the University’s division of Agriculture and Natural Resources. The UC Master Gardener program supports sustainable gardening practices that protect the environment, conserve natural resources, and take into consideration each gardener's lifestyle and goals. What do UC Master Gardeners do? 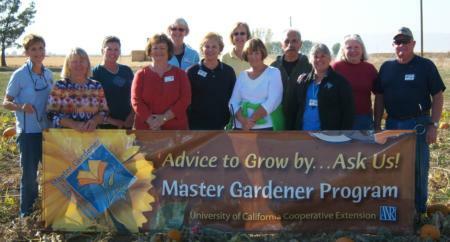 UC Master Gardeners are trained to help residents of California become better gardeners. Using a variety of activities such as workshops, lectures, and garden hotlines these volunteers answer questions about home horticulture, sustainable landscaping, and integrated pest management using University of California research-based information.